Ah what luck! 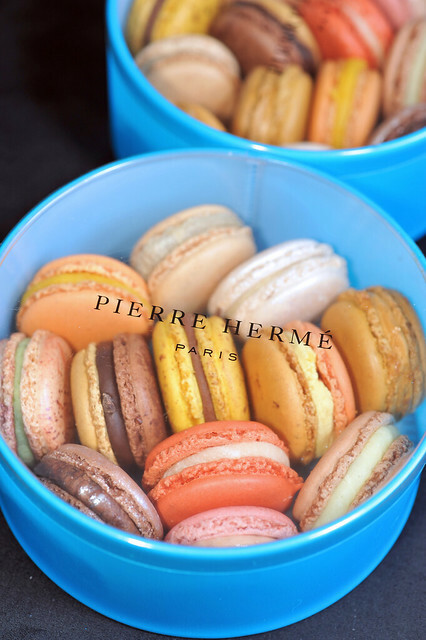 Just last month, when I reconstructed Pierre Hermé’s Macaron Jardin Enchanté, I also lamented on the very near impossibilities of potentially sampling the real stuff from the French pastry master. Macaron Jardin Enchanté was reconstructed with some brainstorming with Swee San and Chef Nicholas, but based entirely on sheer imagination. As I was piping the lime ganache over the shells, I couldn’t help but yearn to know how close these would taste to those made from the kitchens in Alsace. Alas, some greater being of higher order up there must have heard my prayers! How lucky am I, for the celestial bodies must be aligned, as I got to know a new friend recently who shares the same passion for macarons from PH and caramels from Jacques Genin as me! 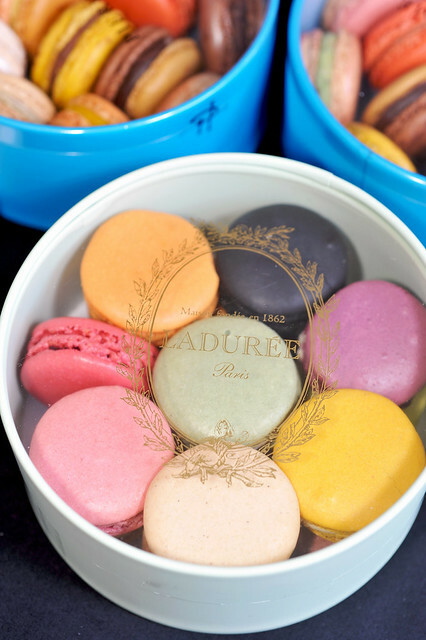 What more, she couldn’t have been more generous to help lug back a couple of boxes of macarons from PH and Laduree! Yes, I know Macaron Month is just over, but I certainly don’t mind a bit of “seepage and spillage” of some macaroning action to continue to in the months to come as I bring to you some reviews of these delectable French almond biscuits sandwiched with the utmost bizarre combinations of ingredients and flavours! So if you would allow me to indulge a lil’ bit more, let me show you just how crazy these dainty lil’ Parisienne confections can be! 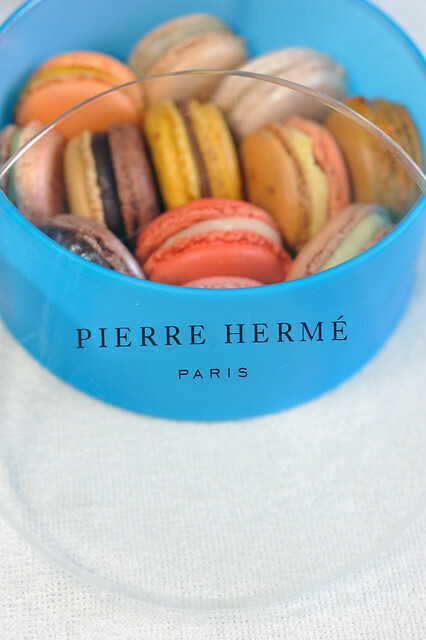 Pierre Hermé and Ladurée are two prominent warhorses in the art of French pastry making, one the key master into the realms of this sophisticated craft, while the other is the gate keeper. 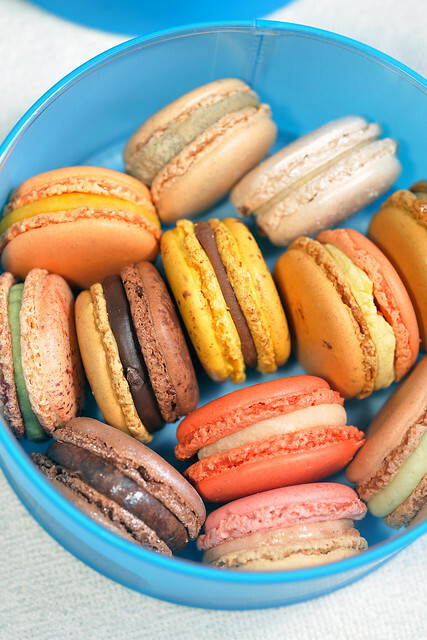 Their names are also synonymously tagged to macarons, whose ever-growing popularity also means bringing the works of PH and Ladurée into brighter limelight. Ispahan is a beautiful marriage of these two, developed by PH during his stint at Ladurée, after being inspired by the ingenuinity of Christine Ferber’s confitures, from whom the combination of rose, raspberry and lychee was born. Two boxes of 12 flavours each! That’s a lot of macarons to finish within a very short time. Oh well..we only live once! Will some luck, I should be able to bring to you some of the flavours from the “Les Jardins Collection” as well! Boy is this gonna be exciting! See how many flavours you could recognise from the lot! Patience… patience…. can’t wait to sink my teeth into them! 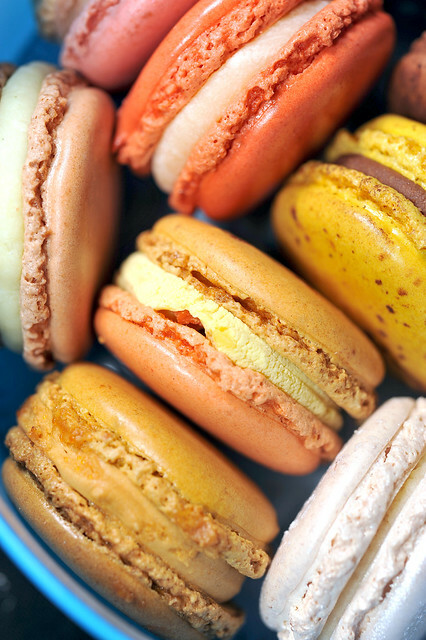 Apart from two boxes of PH macarons, there’s another another box of 15 flavours from Ladurée! Macaron bonanza!!! HEYYYYYYYYYYY macarona! Prima facie, PH’s macarons appeal to me much more that Ladurée’s with the shells from the latter seemingly “underfilled” The finesse and aesthetics of the macarons seem also to be somewhat lacking, compared to PH’s. Oh well… taste is more important right? The looks of Ladurée’s macarons are also more “normalised” compared to PH’s. No funky color combinations for the shells and sad to say, no crazy toppings or effects what so ever! 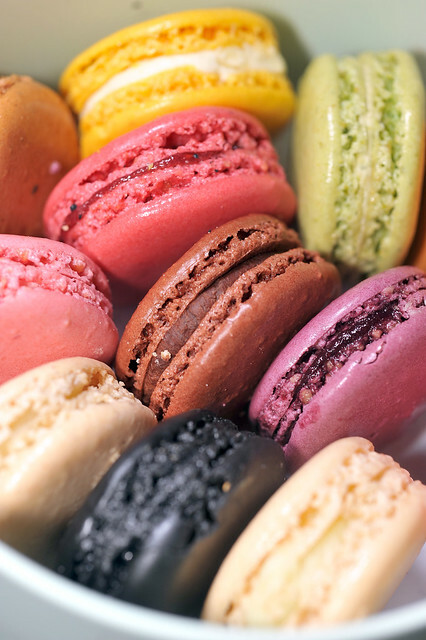 So how do the macarons taste like what’s my take on their greatness? Be patient and watch this space!!! This entry was posted on April 7, 2012 by Alan (travellingfoodies). It was filed under Food and was tagged with infinitement jasmine, Ispahan, jardin marin, jardin secrets, Ladurée, macarons, Pierre Hermé. Oh Alan! You are so LUCKY!!!! I can’t wait to read your critique of the macarons. Please don’t leave out any detail…I’m holding my breath in excitement! ah yes! I hope I could properly justify the macarons through writing and photography! 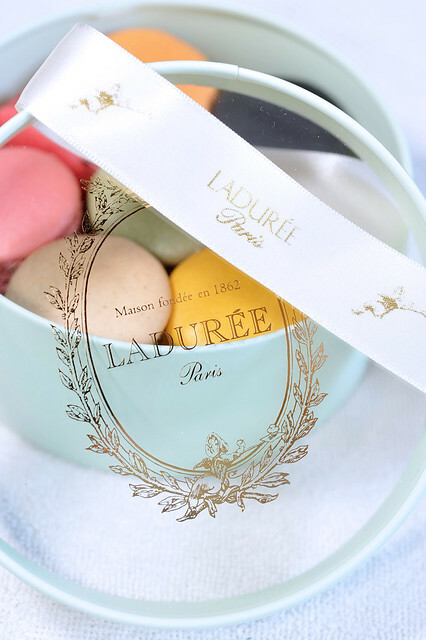 I like to look at Laduree’s macarons n their packaging instead of the rival. Anyway it all comes down to the taste.